Having received final approval from Chinese authorities at the weekend, Google has announced that its $12.5 billion acquisition of Motorola Mobility (MMI) has finally closed, with Dennis Woodside becoming the company’s new CEO, replacing former chief Sanjay Jha. Google says that the acquisition closed at a price of $40 per share in cash, noting that while Jha has stepped down, he will oversee the transition of the company now that it is a Google property. Woodside heads Motorola Mobility after a decade of helping Google expand its operations across the EMEA regions and Russia and is credited with driving revenues up from $10.8 billion to $17.5 billion in three years as President of Google’s Americas business. Our aim is simple: to focus Motorola Mobility’s remarkable talent on fewer, bigger bets, and create wonderful devices that are used by people around the world. Many users coming online today may never use a desktop machine, and the impact of that transition will be profound–as will the ability to just tap and pay with your phone. That’s why it’s a great time to be in the mobile business, and why I’m confident Dennis and the team at Motorola will be creating the next generation of mobile devices that will improve lives for years to come. Google announced its $12.5 billion acquisition last August, securing approval from both EU and US regulators in February. It took another three months for the company to secure the necessary clearance in China. Motorola’s executive team will now include Regina Dugan (former Director of DARPA), Mark Randall (former supply chain VP at Amazon), Vanessa Wittman (former CFO of Marsh & McLennan), Scott Sullivan (former head of HR at Visa and NVIDIA), and Gary Briggs (former Google VP of Consumer Marketing). 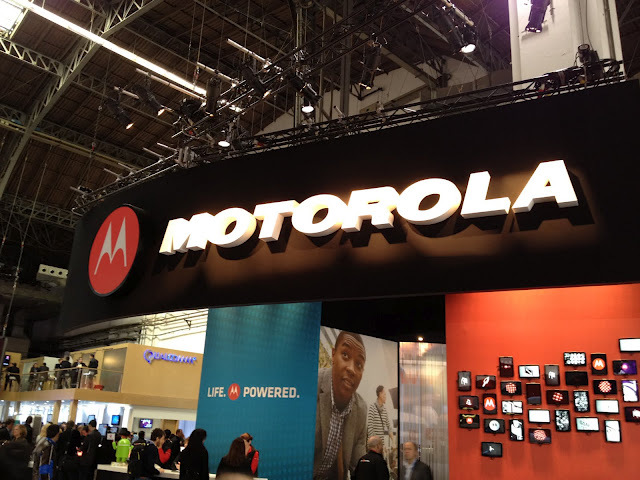 A number of existing Motorola Mobility executives will continue to operate in their current positions. By purchasing Motorola Mobility, Google has effectively purchased its way into a number of high-profile patent lawsuits, which include rivals Apple and Microsoft. Whether this means Google will take a stronger stance in future Android lawsuits remains to be seen, but it does beg the question. Motorola Mobility will continue to be an Android licensee and (as per the agreement it made for regulatory approval in China) Android will remain open (reportedly for at least five years).